Located in the Kangra valley, Hotel Yatrika welcomes guests to come along with their family or either on a business trip and have a memorable comfortable stay. The hotel lies on NH88 and is surrounded by showrooms, malls, shops and temples. The hotel includes 18 guest rooms along with modern facilities like front desk, doctor on call, meeting/conference hall, cafeteria, ample parking space, business center, authorizes travel agency. 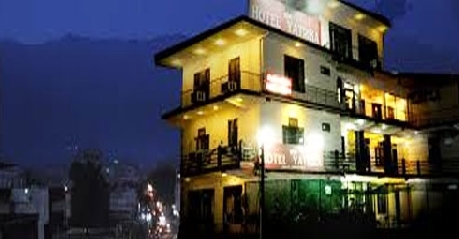 The hotel is surrounded by various sightseeing spots that the guests can visit some include 10 minutes walk to Kangra Fort, BhagsuNag temples that is build on 2000 acre land and guests can enjoy paragliding camps there, 32kms to Baba Baroch temple, 24kms to the famous Dalai Lama palace, various paragliding camps at different locations, Palampur, Jawala Ji temple, Masoor Rockcut temples, Shiva temples of Bajinath, Trilokpur Shiva temples and Gopalpur zoo. The A/C super deluxe room are special premium rooms that are accommodated to guests that visit the hotel for wedding, engagements and other functions and is well designed with a large double bed, fully air conditioned within room temperature control, a ceiling fan, attached bathroom with running cold/hot water, in room tea/coffee maker, a separate sitting area with a sofa set, remote controlled TV with cable connection, intercom facility and room service. The A/C deluxe room is specially accommodated to business travellers that visit the hotel for meetings and conference. The room features a comfortable double bed, attached bathroom with running hot/cold water, a ceiling fan, fully air conditioned within room temperature control, in room tea/coffee maker, intercom facility, separate sitting area, remote controlled TV with cable connection and room service. The A/C rooms are accommodated to families and it features a large double bed, air conditioned within room temperature control, a ceiling fan, attached bathroom with running hot/cold water, in room tea/coffee maker, intercom facility, remote controlled TV with cable connection, separate sitting area and a window that overlooks the beautiful mountain ranges. 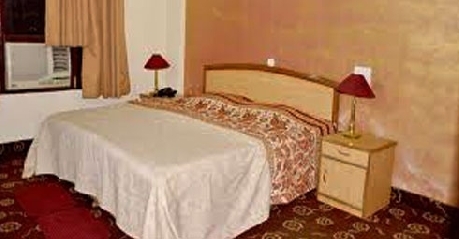 The Non A/C rooms are accommodated to tourist and other travelers. The room features a large double bed, attached bathroom with running hot/cold water, a ceiling fan, in room tea/coffee maker, separate sitting area, remote controlled TV with cable connection, intercom facility and room service. All the 18 rooms at the Hotel Yatrika Kangra are elegantly done up and offers a host of contemporary facilities and are studded with state of the art gadgets. The rooms are clean and spacious and are attended by an expert staff that takes care of all the needs of the guests. The rooms feature attached bathrooms, running hot and cold water, TV with satellite channels, direct dial telephone, tea/coffee makers etc. The in house restaurant serves multiple delicacies including some finger licking local food and multi cuisine.